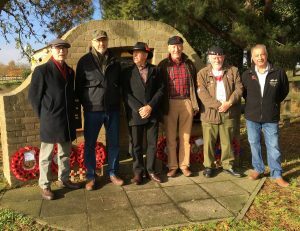 The HAMG were formed in 2004 (originally as the Hunsdon Airfield Memorial Group) to raise memorials upon two of the wartime airfields that were deemed to be forgotten within the county. Now these tasks have been completed it is hoped to continue with additional research and promotion of the histories of Hunsdon and Sawbridgeworth airfields. 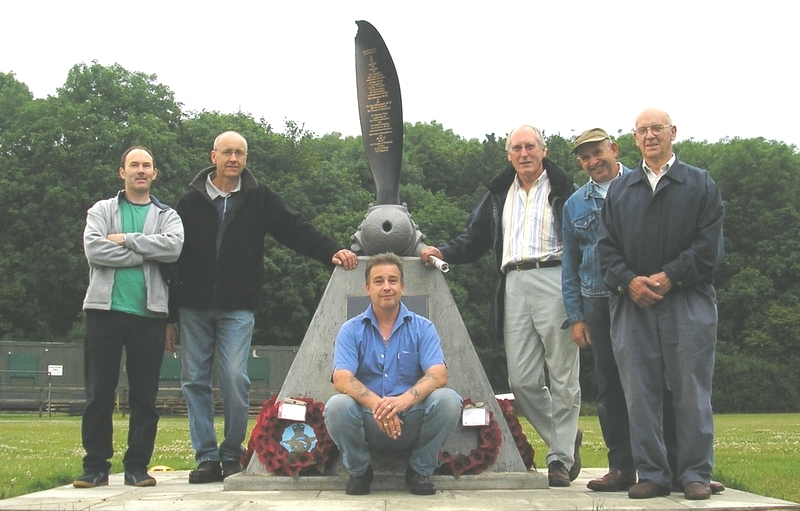 The members of the Hunsdon Airfield Memorial Group in 2004 were Michael Dent, Denis Sharp, Jim Cosgrove, Steve Foster, John Knight, John Smith, Geoff Robertson and Shareen Sharp (treasurer). For personal reasons Geoff decided to leave the group before the memorial at Hunsdon was unveiled. We would like to thank him for his part in the building of the Hunsdon memorial. Prior to the planning and building of the Sawbridgeworth memorial in 2006, David Mead joined the group. John Knight had not been able to be part of the group since 2010 due to illness. He lived at Allens Green, not far from Sawbridgeworth airfield, and was very keen to see the memorial built there. John sadly passed away in August 2012 at the age of 81. HAMG (2005) L-R: Jim Cosgrove, Mick Dent, Denis Sharp, John Smith, Steve Foster, John Knight. HAMG (2018) L-R: Jim Cosgrove, Mick Dent, John Smith, Steve Foster, Dave Mead, Denis Sharp.